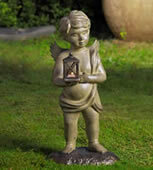 Add a sense of serenity to your outdoor environment with an inspiring angel or cherub statue for the garden. 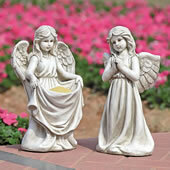 Or, give one to a dear friend as a gift of encouragement, love and support. 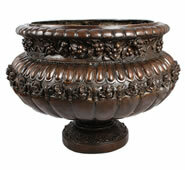 These beautiful sculptures are made of durable outdoor materials such as bronze, faux stone, and aluminum. And many are available in your choice of several weather resistant finishes and colors to suit your individual sense of style.